I think about her all the time though and I want to do anything I can to make sure my grandparents live out the rest of their years happy and healthy. Animals have been a huge part of my grandparent’s life to say they are “pet lovers” would be an understatement. 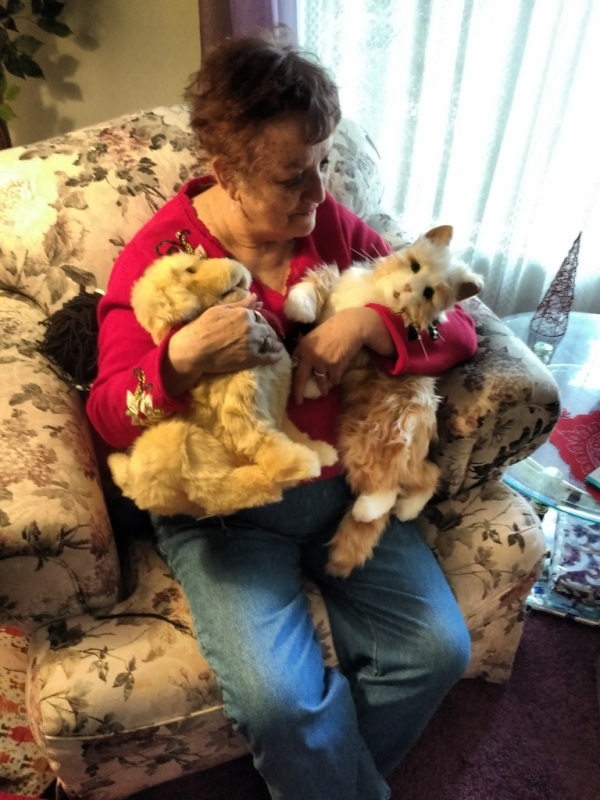 My grandma used to sit me down and go over all the pets they have had through the years. They haven’t all been very conventional; my uncle had a boa constrictor that once got out, went down into the couch and managed to tangle itself into the couch coils. Needless to say, my grandma was “thrilled” about that. My grandparents were definitely keener to love the furry pets. They have had many cats and dogs as well, but after losing their last pet, which was heartbreaking it became hard to get another one. As age creeps up it also becomes harder to care for a pet and I felt a strong need to fill this void for them, I wanted to see them happy again with a furry companion. This became a difficult challenge with really only one clear option; HASBRO’S JOY FOR ALL™ Companion Pets. Hasbro had the perfect solution to bring back the joy of having a pet without the hassle of a live pet. 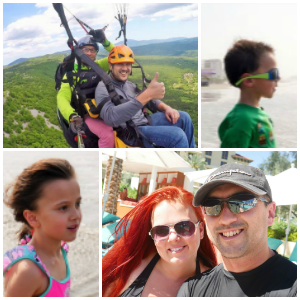 Hasbro has always created joy and happiness for kids; it only makes sense to spread that joy to all ages! 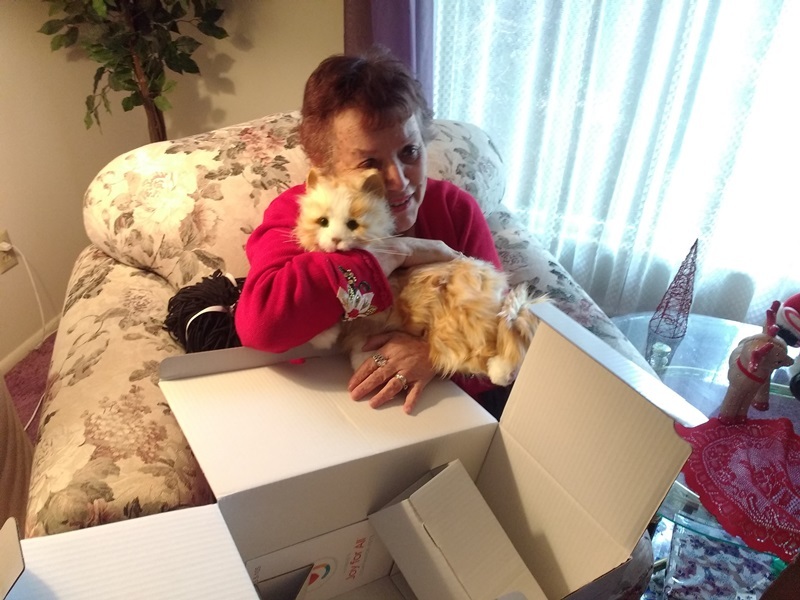 The look on my grandma’s face when she opened her JOY FOR ALL™ Companion Pet really said it all. She not only loved her new pet pup and cat, but I think they brought her some comfort and familiarity back. 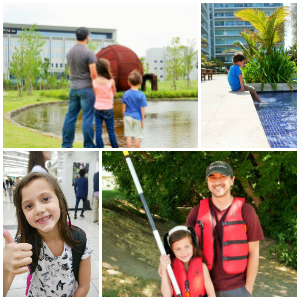 • Hasbro’s Joy For All Companion Pet Cats respond to petting, hugging and motion much like the cats you know and love. Purring technology further enhances the pet’s life-like qualities. 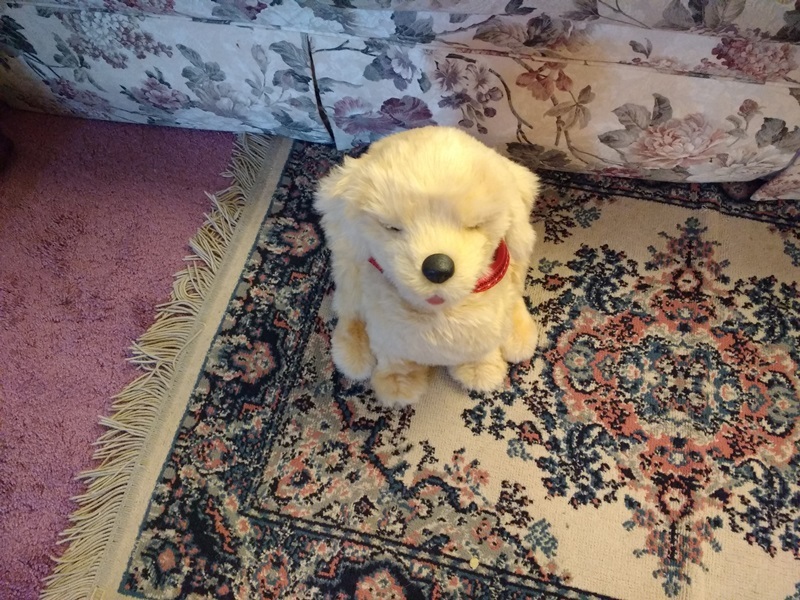 • Hasbro’s Joy For All Companion Pet Pup responds to voices with adorable pup-like sounds thanks to built in BarkBack™ technology and will look toward you when you speak to it. 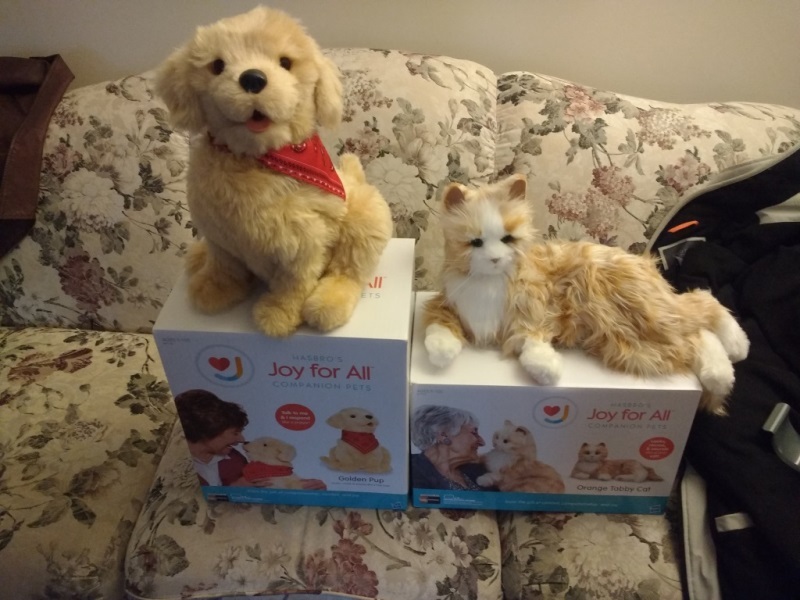 After experiencing the HASBRO JOY FOR ALL™ Companion Pets I know they would be ideal for those with elderly family members that are lonely, suffering from dementia or memory loss. The pup or cat can give comfort 24 hours a day and fill a void. My grandma now has a new puppy that she doesn’t have to feed and take for walks; she can just sit and enjoy its company. For all that my grandma has given me I am so glad to be able to give her even this little joy of having a furry companion back in her life. 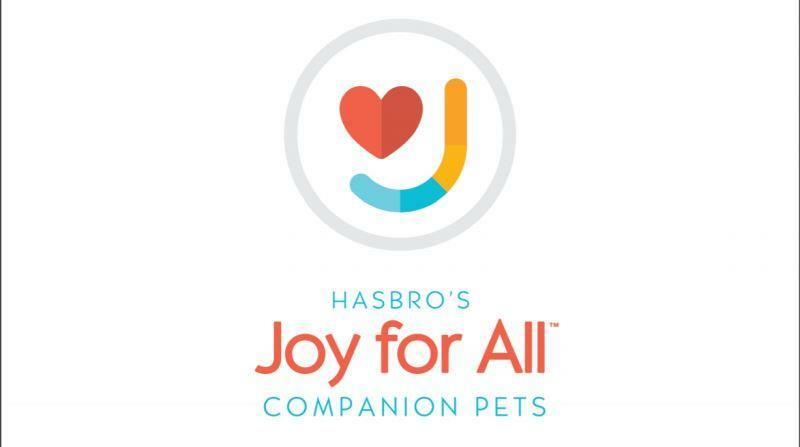 If you would like to bring a spark of joy back to your loved one’s life you can get a HASBRO JOY FOR ALL™ Companion Pet here. Plus right now you can save 10% off your purchase by using the coupon code: JOY2016.